Stigmata are spontaneous bleeding wounds which appear in various places on the body, such as the hands, the feet, the back, the forehead, and the side, and, in the Christian context, are considered to be manifestations of the suffering endured prior to, and during, Jesus' (c. 6 B.C.E.–c. 30 C.E.) Crucifixion. While theologians debate whether or not St. Paul himself may have been a stigmatic (Galatians 6:17—"I bear on my body the marks of Jesus"), St. Francis of Assisi (1181–1226) suddenly bore the wounds of Christ while praying outside a cave after a 40-day retreat in 1224, thereby becoming the first stigmatic recorded in the annals of church history. St. Francis is also the only stigmatic on whom the wounds in the feet and the hands actually bore representations of nails. In 1275, a Cistercian nun named Elizabeth received stigmata on her forehead, representing Christ's crown of thorns, after she witnessed a vision of the Crucifixion. Church tradition has it that St. Catherine of Siena (1347–1380) was visited with the marks of Christ's suffering, but through her great humility she prayed that they might become invisible, and, though the pain of the wounds remained, her entreaty was granted and the blood no longer flowed. The Catholic Encyclopedia states that the suffering that stigmatics endure is the "essential part of visible stigmata; the substance of this grace consists of pity for Christ, participation in his sufferings, sorrows, and for the same end—the expiation of the sins unceasingly committed in the world." 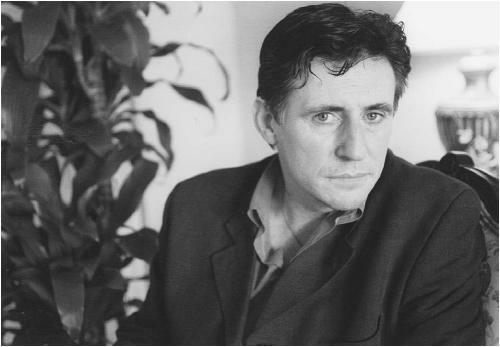 If the stigmatics did not suffer, the wounds would be "but an empty symbol, theatrical representation, conducing to pride." And if the stigmata truly issue from God, it would be unworthy of his wisdom to participate in such futility, "and to do so by a miracle." While not yet blessed with sainthood, Padre Pio (1887–1968), one of the most well-known stigmatics of the twentieth century, saw a vision of a mysterious person whose hands, feet, and side were dripping blood on August 20, 1918. After Padre Pio was delivered from such a terrifying sight, the priest suffered the first of the stigmata which would cause his wounds to bleed daily for 50 years. Therese Neumann (1898–1962) was also a stigmatic who became familiar to the general public. Born between Good Friday and Easter at Konnersreuth, Bavaria, Neumann suffered a series of serious accidents that brought blindness, convulsions, and paralysis. Her eyesight was restored on the day of the beatification of St. Therese of Lisieux (1873–1897), April 29, 1923, and on the day of St. Therese's canonization on May 17, 1925, her mobility returned. Then, after a vision of Jesus on March 4, 1926, the stigmata began, and she would suffer bleeding from all the wounds, including shoulders and knees, on Fridays, especially during the church season of Lent. It is claimed that from Christmas 1926 until her death in 1962, Neumann didn't eat or drink anything except daily Communion. Physicians could not succeed in curing the wounds with their remedies. Unlike long-lasting wounds in others, those of stigmatics give off no foul or fetid odor. Sometimes the wounds of the stigmatics emit the odor of perfumes. In April 1998, various media carried the story of a priest who began to manifest stigmata in his side, hands, and feet while serving a parish in Antigua, West Indies. Reverend Gerard Critch was flown to New York to be treated by medical specialists. Dr. Joseph John was quoted as saying that no treatment he had given Critch had worked or been effective. According to Critch's parishioners, they were thrown to the floor by an invisible force or felt their injuries healed when he blessed them. R. Allen Stanford, a banker from the United States who flew Critch to New York City on his private jet, said that oil was oozing from the marks on the priest's feet, as it did from Jesus. "The wounds were real," Stanford said (Evening Telegram, April 11, 1998). producing stigmata. And the phenomenon is not exclusively a Christian one. Cases are also known of Muslim stigmatics who bear wounds that correspond to those known to have been suffered by Muhammed (c. 570 C.E.–632 C.E.) while doing battle. Carty, Rev. 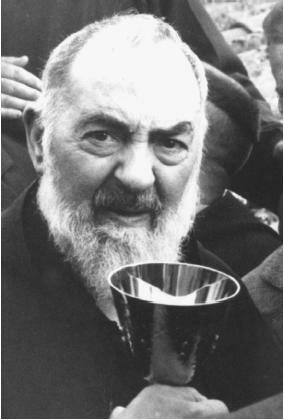 Charles M. Padre Pio the Stigmatist. Dublin: Clonmore and Reynolds, 1955. Crim, Keith, gen. ed. The Perennial Dictionary of World Religions. San Francisco: HarperSanFrancisco, 1989. Steiner, Johannes. Therese Neumann. New York: Alba House, 1967. Wilson, Ian. Stigmata. New York: Harper & Row, 1989. I was just looking for any infomation regarding "Unexplained bleeding from hands". There is a little girl (7 years old) who had this happening several times. Onces blood is wiped there would be no wound or sign of where did it come from. Few weeks ago she started bleeding inschoola nd teacher had advised mother to take the child to Dr. Mother of the child did so, but Dr. couldn't find anything and therefore he told her to just bring the child (without scheduled appointment at any time, day or night). Yesterday, it happened again. she was taken to Dr. and she took pictures and took some blood for testing. Child is Muslim by religion, but her Mother deosn't practice it. Child doesn't have any pain. Blood just comes and goes without any cause. Once it is gone there is no sign where did it bleed from , becasue skin stays intact. Did anyone hear of same or similar situation? I would appreciate some information. I haven't heard of a similar situation like the one i have read above. My comment is simple .I hope you aceptable. It is not our duty nor our responsibility to investigate what is happening to anything or to anyone. But, I think our main responsibility is to feel God and listen intently to his messages from which our individual mission is thereby berbalized in the midst of our silence. God speaks to our hearts and souls every minute of the day .And only if each one of us gives God an hour or two to listen to what He wants us to be and wants us to do maybe, ALL OF OUR INQUIRES ARE PERFECTLY ANSWERED. Soo i watched that movie I Know Who Killed Me and im just wondering, is physic stigmata real? is it true that if you have a twin and your twin gets hurt that you'll get hurt in that same place that your twin got hurt at? certainly not. There are always mysterious stories about phenomenons as such, but considering I am actually and identical twin myself, the answer is NO. I do not feel her physical pain. But I will always understand her emotion pain, just as any other sibling would. Why are you worshipping the devil if you are scared of demons? The same God you are rebuking is the only one who can protect you from the devil and his demons. The devil has no friends. He has come "to steal, kill and destroy".Ask God, the real God, what that means through a man or woman of God.